Feeling parched during Vancouver’s blast of steamy weather? Beat the heat with these smooth sippers. Why do we love them? Most of them are made locally, they taste amazing (warning: some will give you a boozy buzz), plus they’re portable. So pack a picnic, set sail, hit the trails and embrace the outdoors while quenching your thirst. And remember: pack out what you pack in (and imbibe responsibly). 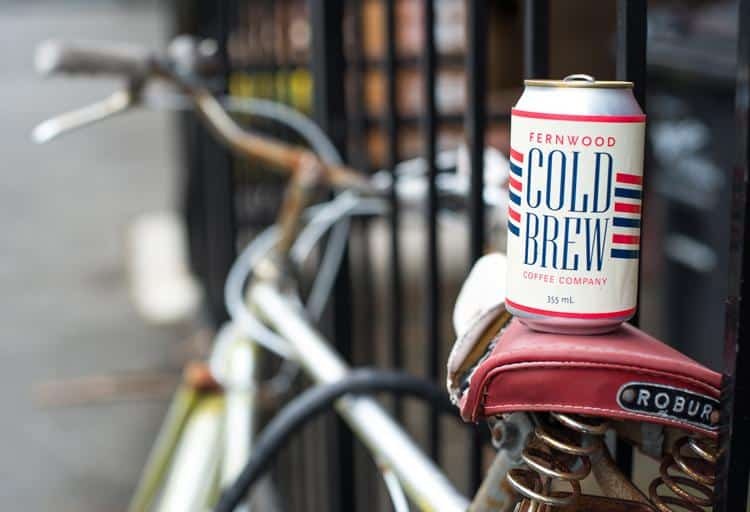 We usually like our brew blazing hot, but Fernwood Coffee’s Carbonated Cold Brew has us convinced to add this potion to our portable arsenal. With ingredients such as single-origin coffee and filtered ice water, you know that there’s no messing around with nasties here. So what’s with this zany idea of carbonating coffee, I had to ask? Take it with you: Early-a.m. hikers and bikers, crack open a can when you’re too bleary-eyed to hit “brew” on the coffee pot. What happens when Yakima hops meet Cascade Apples? Well, it culminates in Hopping Mad Dryhopped Apple Cider, not quite a love story but more of a spirited relationship. 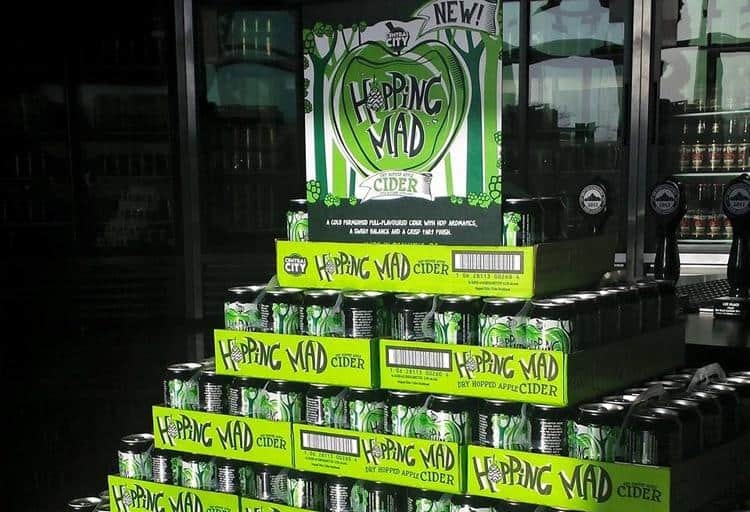 At 6.5% ABV, Hopping Mad packs a punch so sip slowly and savour this dry-sweet apple cider. Take it with you: Bring a six-pack of cans to that backyard bash and stand out from the crowd with this super-cool cider. Warning: the words, “can I try that” will get old pretty quickly. Ten teaspoons. That’s the amount of sugar in your typical can of soda. Makes the idea of eating Fruit Loops with chocolate milk sound like a healthy breakfast. 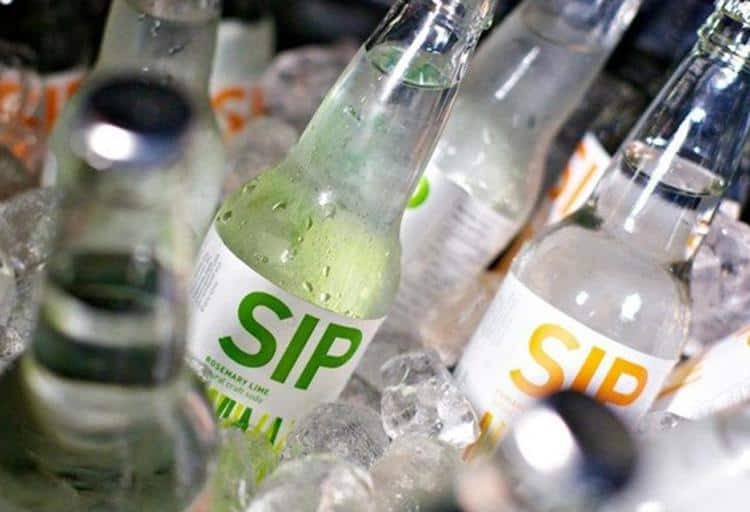 But health-conscious Vancouverites who crave an effervescent soda can drink up, guilt-free, thanks to Jennifer Martin, who founded SIP Natural Craft Soda. 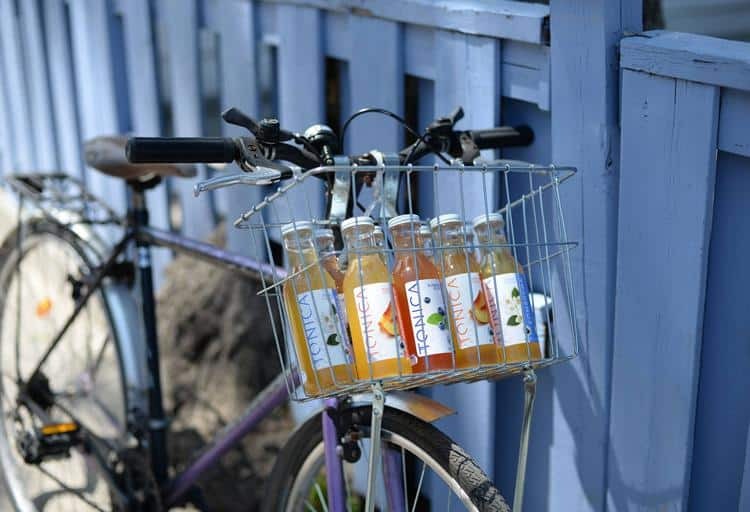 The sophisticated soda comes in three delicious flavours: Lavender Lemon Peel, Rosemary Lime, and Coriander Orange. Each bottle of soda is made with mineralized water, infused with botanicals and fruit, and sweetened with cane sugar — about 12 grams compared to the 39 grams that’s in most sodas. Smooth. Natural. Spiked. These are elements we can get behind in a lemonade or punch. And if kids selling lemonade street-side used organic honey, glacial water and that essential element – vodka – their piggybanks would get full a whole lot sooner. 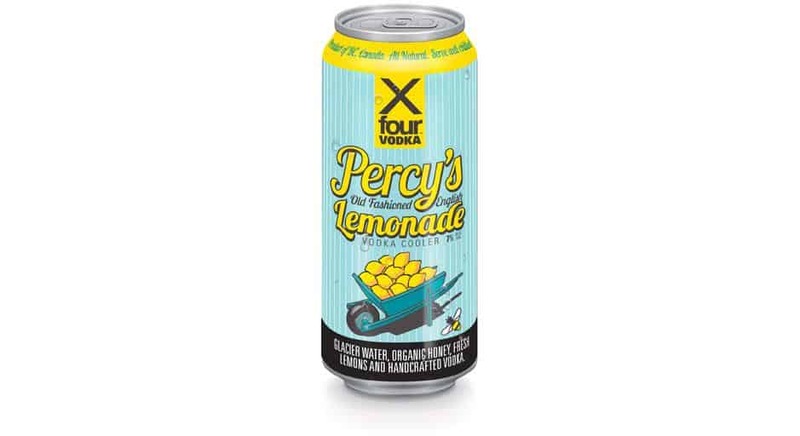 XFour Vodka gives Percy’s Old Fashioned Lemonade and Percy’s Punch that heat-beating buzz. As the story goes, Great Grandfather Percy concocted his spiked lemonade for friends in Jolly Olde England, and this handcrafted lemonade, made from B.C.’s purest water, was inspired by his recipe. Percy’s Punch starts with that same lemonade, but it’s amped up with blueberries, ginger and mint. Hey there, sailor. 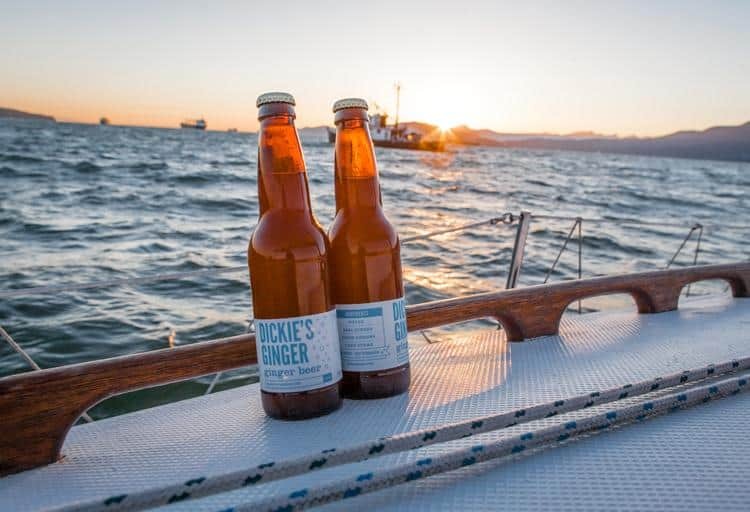 While your mates are quaffing Dark ’n Stormys aboard your sloop, why not slug back some non-alcoholic Dickie’s Ginger Beer while you’re under sail (and add the rum when you’re safely anchored for the night). The simple ingredient list makes us happy too: natural ginger, fresh lemons and cane sugar. Enough said. 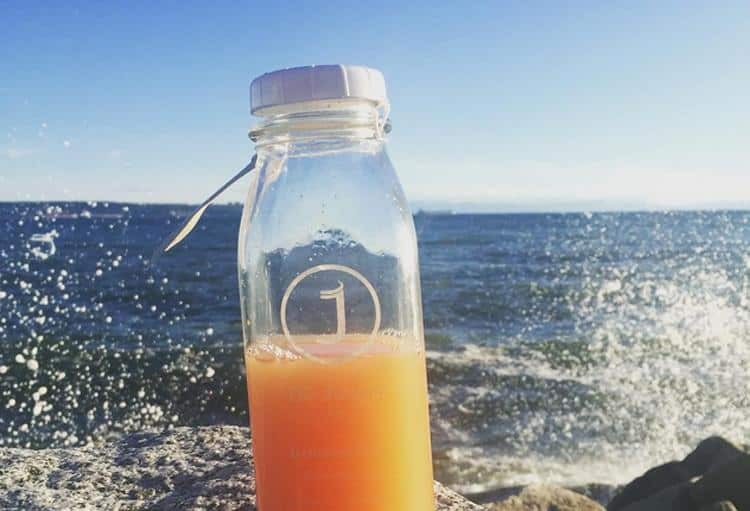 Take it with you: Calling all sober sailors cruising the waters of English Bay and beyond. Stock the galley (get a growler at Dickie’s) and if you get lost at sea, those lemons will help keep scurvy at bay. We understand your dilemma: it’s a sweaty day and you’re yearning for a cool and comforting milkshake, but it’s hardly the thing you can stash in your bag with the sun beating down. 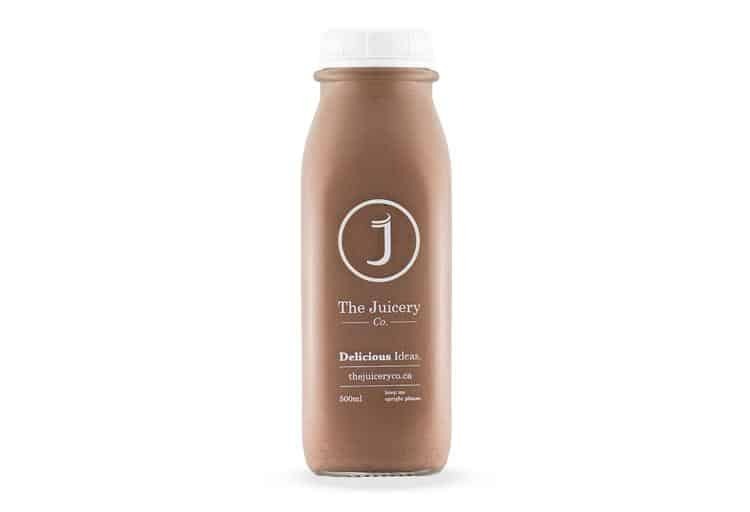 The Juicery Co. has solved such a riddle with its vegan-friendly and lactose-free (and non-melting!) creation: Cocoa Banana Mylk. Sea salt and cinnamon blend beautifully with banana, raw cocoa and vanilla beans, which flavour this fab nut mylk. Take it with you: Pop a bottle or two into the cockpit of your kayak and it will stay cool while you paddle to Twin Islands in Deep Cove to retreat from the city heat. Move over super-sweet iced tea. Enter: Tonica Kombucha. If you’re not versed in Kombucha, click here for the low-down. This fermented tea-based beverage is utterly intoxicating, but not in a boozy way. It’s at once sweet and sour, refreshing and naturally effervescent. Sure, there are promises of digestive-aiding enzymes, restorative benefits and other health claims, but they remain inconclusive. But we drink it for the taste and that little rush of energy we experience afterwards. Plus it’s organic, free of GMOs, dyes, fragrances and the like. Warning: you’ll be tempted to shake the bottle, but go easy – it’s naturally fizzy. Take it with you: Stay fortified at Tuesday drum circle nights at Third Beach when you need something refreshing and fizzy to keep your hands (or hips) moving.